The readings for the Sixth Sunday of Ordinary Time are: Jeremiah 17:5-10; Psalm 1; I Corinthians 15:12-20; Luke 6:17-26. 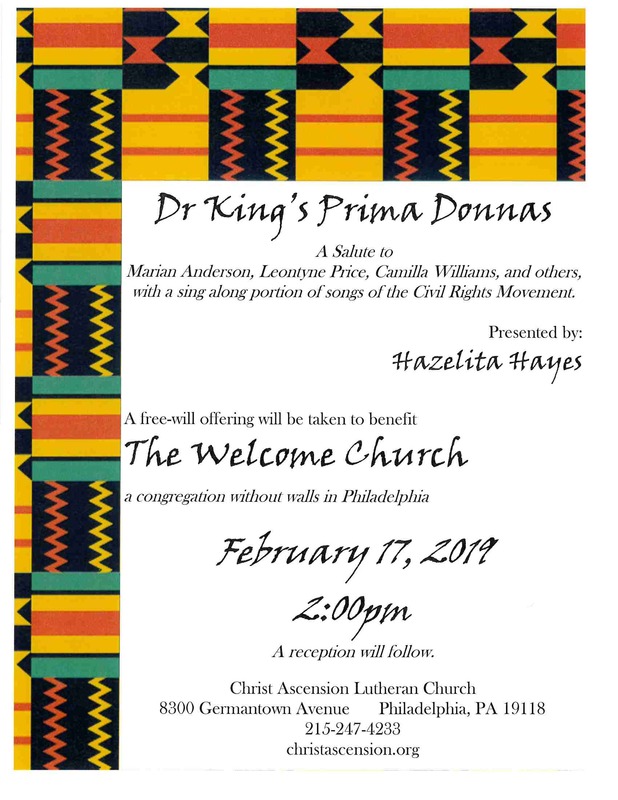 Join us at 2:00pm for a Benefit Concert for Welcome Church! The readings for this Sunday are: Isaiah 6:1-13; Psalm 139; II Corinthians 5:17-18; Luke 5:1-11. The readings for the Presentation of Our Lord are: Isaiah 40:21-31; Psalm 24:7-10; Hebrews 2:14-18; Luke 2:22-40. The Presentation of Our Lord falls 40 days after the Nativity of Our Lord. It is the culminating feast in the Christmas cycle. The ancient church held a tradition of blessing candles on this day. Coming from Simeon’s canticle that today—in the Temple of God—he saw the Light of God, it is traditional to dedicate the candles that will be used to adorn the altar of the congregation in the coming year. Taking into account all the ways that God is made known in our midst, we will also bless the communion vessels and linens. Blessed are you, O Lord our God, ruler of the universe. Your Glory fills the skies and your Light shines in our hearts. Bless these candles which we will burn in our homes. Remind us always that they are but glimmers of your bright majesty. Give us hearts that burn with your justice and mercy and lives that shine with your radiance. We ask this through Jesus Christ, the Bright Morning Star.